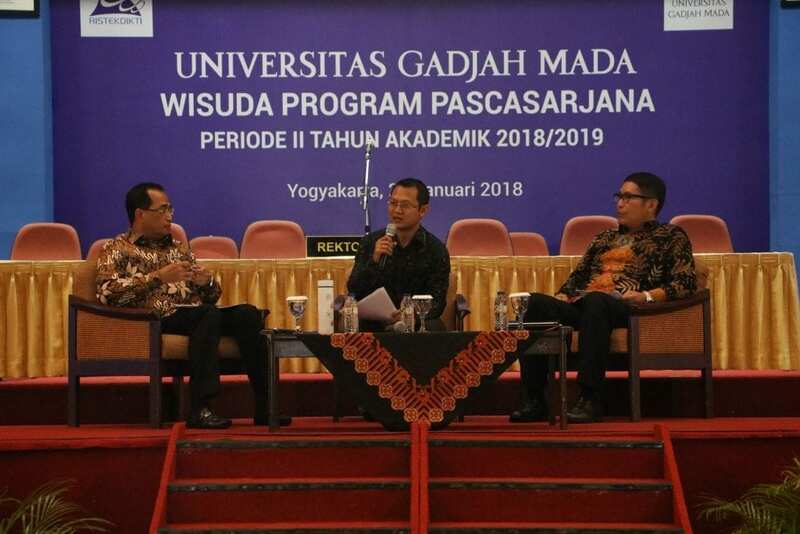 Yogyakarta – Sub-directorate of Alumni Relation UGM in Master Degree Graduation Debriefing January 2019 had invited a special guest speaker, Minister of Transportation Republic of Indonesia, Mr. Budi Karya Sumadi and Executive Director of PT Indonesia Stock Exchange, Mr. Inarno Djajadi. Minister of Transportation RI, Budi Karya Sumadi told that as UGM alumni, we must live by UGM characteristic values such as low profile. “However, we do not be a low profile person for too much until it becomes inferiority. We still have to give our high performance,” said the alumnus of UGM Faculty of Engineering in Grha Sabha Pramana, Tuesday (22/01). During his college life, he was a lecture assistant and he never thought to become a minister. After graduated from UGM Architecture, he joined one of the Ciputra companies as an architect. “In that company, I competed with ITB, UI, and overseas university graduates. At the beginning, I had underestimated myself, but I kept on going. I took every offer available until I had to come home late from work. The result of this persistence has become my extra value for other people, and then I became Director of PT Taman Impian Jaya Ancol for three periods in a row,” he said. “UGM alumni must be able to become someone meaningful wherever we are. We must be an inclusive one, not exclusive one,” he added. 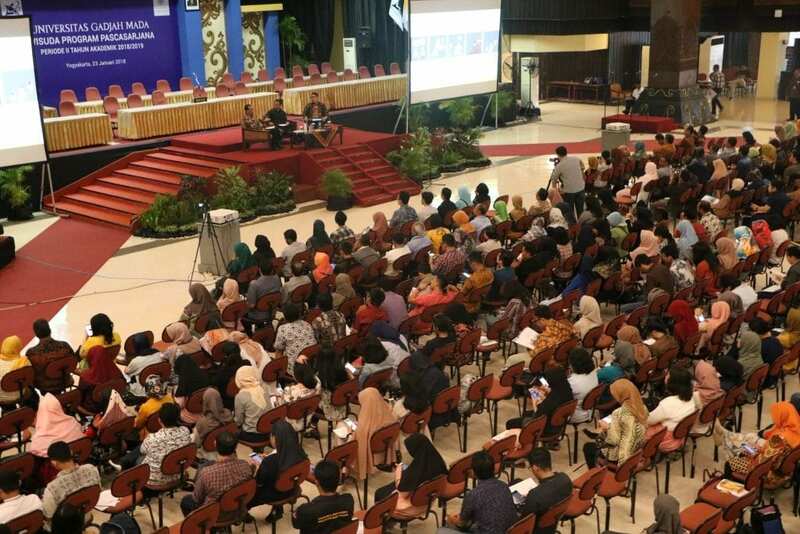 Along with the minister’s statement, the Executive Director of PT Indonesia Stock Exchange, Mr. Inarno Djajadi, also agreed that UGM is attached to low-profile image, but not only that, some UGM characteristics also have to be applied by its alumni, good cooperation, not an individualist, uphold solidarity, and good management. “In this millennial era, there is an individualism tendency caused by gadget. This has to be anticipated by keeping our solidarity because UGM has power in diversity, togetherness, and solidarity,” he said. As the alumnus of Faculty of Economics and Business, Mr. Inarno had contributed in stock market after he graduated.